How to protect your elderly parents from cold callers scams? Fraudulent telemarketers cheat people every day, using phones as their weapons. These criminals target elderly people because they are generally too polite to hang up. It’s a myth that older victims are isolated or lonely as many are active people who are lured by great-sounding deals or nice sounding telemarketing agents. Every single day we receive in Mindtimeshare emails from children who have sadly found out that their parents have been scammed by dubious companies and taken a lot of money from them. It goes from payments to dubious resale companies for sales that never exist or to fly buy companies who sell over 80 year old people discounted weeks without telling them the age limit is 60, and the latest one, the fake notaries and court houses who have recovered all the money these victims paid previously to other fraudsters but they need a fee to unblock it. In many scams the elderly may be targeted more often than other age groups and fall victim more often too. 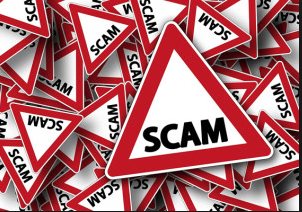 We certainly think that scams related to their timeshare ownership is one of these. And once burned, they may be hit up again as easy marks. It is so “easy” for these fraudsters to touch a very sensitive nerve when it comes to the timeshare, as they will tell the elderly owner anything to convince them such as “the debts will pass to the children”, “your children will be stuck with this forever”… etc. So in an attempt of “solving” this problem once and for all, they are far more vulnerable in falling into these traps. One of the main problems we see, is that children actually never really get involved with the timeshare of their parents, or realized this could be the reason for them to be a target for cold calls and scam companies. So the main advice we would like to give is that children need to be aware what the situation is of their parent’s timeshare and if their parents have been speaking to these dubious companies. If the parents are worried about their timeshare then the client services department of the resort where the timeshare is owned will be the best way to get the information you need about reselling, maintenance fees and relinquishment. Apart from this at Mindtimeshare we can provide all the information you need on how to do a possible refund claim, where else to report these companies and the possibilities to claim back the money through the bank or even the courts. Unlist your parents’ phone number so scammers can’t get it. Consider replacing the landline with a cell phone, where scam calls are less frequent. Consider setting up online access to your parents’ bank and credit card accounts. This will let you watch over their finances from afar. Look for unusual monthly charges, big and small. If you don’t live nearby, ask a trusted neighbour or anybody near to be your eyes and ears. What kind of mail is coming into the house? Does there seem to be a pattern of scam callers on the phone? These could suggest that your parents are on the contact lists of these companies. These lists are developed and sold among scammers to identify past victims as candidates for future fraud. Tell your parents never to make an “on-the-spot” decision. If the person says you have to take the offer immediately or you will miss the opportunity, it is likely a scam. Legitimate companies do not pressure people to act without taking the time to look into the deal. We know it can be difficult to convince your parents they have been defrauded, or they are so embarrassed it happened that they are reluctant to admit how far the fraud goes. But please re-assure them that this is something that needs to be reported and should be stopped. With the information your parents can provide about the company that defrauded them, the payment details and other information we can inform the police and place warnings on our blog. It might be too late to recover all money lost, but at least their information will contribute to avoid others from falling into this trap and lose money as well. This entry was posted in Bogus Holiday Clubs, Bogus resale companies, Flybuy Operator, fraud, Legal Services, Mediation services, Warnings and tagged Bogus resale companies, Bogus Timeshare resale company, Claims Companies, Cold Calls, Discount Travel Membership Club, Disposal Companies, DTMC, Legal fees, perpetuity clause in Timeshare, Upfront Fees. Bookmark the permalink.